The 2012/13 Winter Holiday DUI Mobilization crackdown on drinking drivers has ended and resulted in a significant number of DUI arrests from the Sobriety Checkpoints, Special Saturation Patrols and routine patrol in the Sonoma County “Avoid the 13 ” DUI Campaign for the past 19 days. From 12:01 AM Friday December 14th, through Midnight Tuesday January 1, 2013 officers representing 13 Sonoma County law enforcement agencies have arrested 144 individuals for driving under the influence of alcohol or drugs. 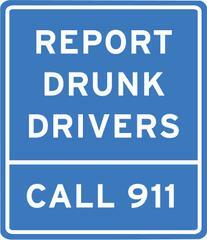 In 2011/12 163 DUI arrests occurred during the same time period. Fortunately, there were NO DEATHS attributed to a drunk driver in our area! Last year there was 1 alcohol related death during the year end campaign. There were 5 injury alcohol involved collisions injuring 6 people. Last year there were 6 injury collisions injuring 6 people. These numbers are in comparison to last year’s totals during the holiday period. Law enforcement officials will be conducting more Avoid DUI operations throughout the county and region next during Super Bowl Sunday in February and then again for local St Patrick’s Day Festivities in March. Police, Sheriff and the CHP encourage all motorists to help law enforcement every day: Report Drunk Drivers – Call 9-1-1 anytime you encounter an impaired driver.